-- "There Is No Escape From Responsibility, Even On Vacation"
That doesn't stop 13 year-old Rachel from trying. A day of surfing (away from her younger brothers) unfolds into the greatest adventure of her life. Voyage the high seas as Rachel is thrown back in time and kidnapped by a ship of lost pirates that cannot decide if Rachel is their guide to safety...or to their doom! The Pirate Bride is an original story from the imagination of 10 year-old Anna McKinley and her father, Ryan. Complimenting this time-travel fantasy are beautiful illustrations by Oklahoma City artist Jerry Bennett. Funny, moving, and thoughtful, it will enthrall readers of all ages as they discover with Rachel that family can be the greatest treasure. 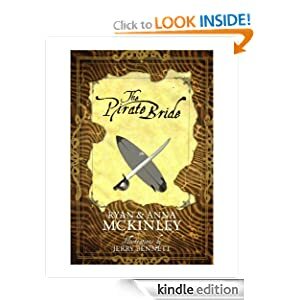 The Pirate Bride or to sample this book for FREE! 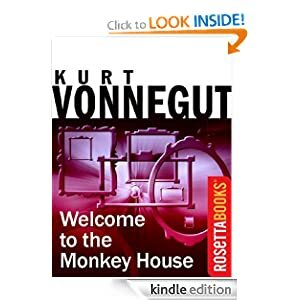 -- This short-story collection Welcome to the Monkey House (1968) incorporates almost completely Vonnegut's 1961 "Canary in a Cathouse," which appeared within a few months of Slaughterhouse-Five and capitalized upon that breakthrough novel and the enormous attention it suddenly brought. Two early stories from Galaxy science fiction magazine and one from Fantasy and Science Fiction (the famous "Harrison Bergeron") show Vonnegut's careful command of a genre about which he was always ambivalent, stories like "More Stately Mansions" or "The Foster Portfolio" the confines and formula of a popular fiction of which he was always suspicious. Vonnegut's affection for humanity and bewilderment as its corruption are manifest in these early works. Welcome to the Monkey House or to sample this book for FREE! -- The black waters of the lake sucked the air out of the car as it rolled from the shore to the depths beyond. Two men stood on the rocky beach, watching. They could have brushed their hands in satisfaction. But they didn't. No smile arched their faces; no congratulatory words passed their lips. A woman was dead. "All for nothing," one of them said. The other lit a cigarette and blew smoke in the direction of the sinking car. The white fumes faded just as the hood of the convertible sank. "There are always innocent victims..."
"This path has no winners." There was nothing to see but regret across the calm waters of Lake Michigan. "May God have mercy on your soul." 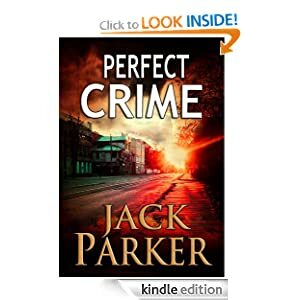 Perfect Crime or to sample this book for FREE!